Birmingham is the UK’s second largest city with a population of over one million, expanding to almost three million across the wider West Midlands area. It is therefore surprising to learn that there are so few sportives available for cyclists in Birmingham. A quick look on the British Cycling website shows just six sportives within a 30km radius of Birmingham. These include; Bike for St Basils, The Swan Cycle Worcestershire Sportive, Tommy Godwin Challenge, Mad March Hare Sportive, The Lapierre Tour of the Black Country and Round the Wrekin. 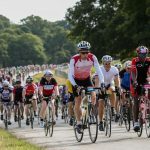 In addition to these sportives, Bloodwise hold their annual Birmingham Bikeathon in Cannon Hill Park, Birmingham. 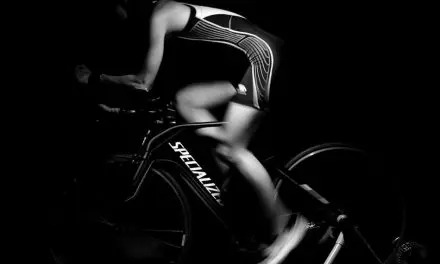 Unlike the Wirral Bikeathon, the Birmingham event is more akin to a sportive, with a choice of three routes; 26m, 52m or 100m. It was this tremendous gap for a good sportive in the Birmingham area that led to the first Velo Birmingham event in 2017, giving not only cyclists in the West Midlands area a great cycling event but also those further afield across the UK. The event organisers aimed to attract 15,000 cyclists on a 100 mile closed road sportive and they achieved this within 4 days of tickets going on sale, despite the higher than normal cost for a sportive. 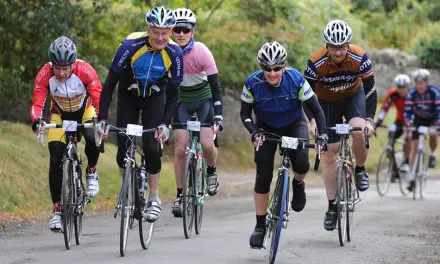 The 2019 Sportive has availability for 17,000 cyclists – let’s hope they get the feed stations right this time! It is unclear what has caused the organisers to not repeat the event in 2018, instead favouring a return in 2019, but their announcement of a new route and a date move from September to May may give clues. Following the initial pre-registration period in 2017, around 45,000 cyclists expressed an initial interest, although this was prior to the cost of the event being known. Whilst some cyclists expressed disgust at the high cost of the Sportive, Velo Birmingham sold out it’s full 15,000 capacity within just 4 days. They are also stating that 2019 has sold out to 17,000 cyclists so there is clearly demand. If your looking to download the official route map in GPX or TCX file format, just head back up to the link in the table above. The 2019 Birmingham Velo route sets off from behind the Bull Ring and after some early morning well-wishers cheering us on, the route travels East towards Chelmsley Wood and Coleshill. As we pass the 25km mark, we reach Nether Whitacre and the first of the day, although an incline of 110m over the next 7km should be too much of a demand. The gradient averages 5% with a tiny 6% kick at the end. The route then goes towards Bentley Park Wood, Arley Wood, Fillongley and New Park Wood in Astley for what should be a scenic section. From here there is a gentle 20km descent into Coventry and a pleasant meandour through the closed streets of the City. Once riders leave Coventry and pass through Coundon Hall Park and Brownshill Green, we encounter the second climb. The ascent is just 80m over 9km so nothing to worry about on this one either and most riders should be comfortable at this halfway stage. The second half of the route starts around Corley Moor and passes Meriden, Balsall Common, Kingswood and Cheswick Green to take us up to the 120km marker and on to the final 40km. The section from just south of Shirley to Rubery covers around 16km and is a steady rise of 70m, with a few 4% gradients to stretch the legs. From here it’s onto Halesowen and the rapturous applause of the Birmingham City Centre folk who don’t mind their roads being closed for the day! For those that rode the inaugural Birmingham Velo, the feed stations are likely to be the least favourite part, with the majority of cyclists receiving no food whatsoever as the organisers ran out of food, which is pretty poor for a £75 entry fee. Let’s hope they learned their lesson and have resolved this for this year’s event. There are 3 feed stations on the 100-mile route, and they are placed at the following intervals; 30-miles (Fillongley), 65-miles (Kingswood) and 85-miles (Rubery). The first one makes sense but be warned, it’s likely to be a very busy one coming after less than two hours cycling. It might be worth skipping this and heading straight for the second pit stop at Kingswood. In what appears to be a new introduction based on the previous Velo, are the five water stations, which are evenly spaced out through the course. What Date is Velo Birmingham 2019? Velo Birmingham 2019 will be held on 12th May 2019. 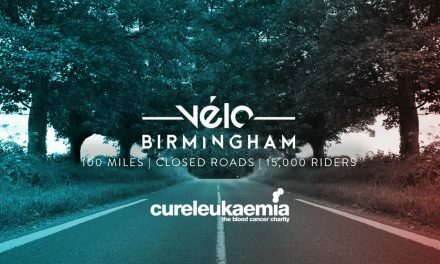 Velo Birmingham is a 100-mile closed road cycling sportive that is due to take place on May 12, 2019. The event sees 17,000 cyclists ride across four counties on closed roads, something rarely seen for non-professional sporting events. How much does Velo Birmingham cost? There are two ticket types, General Entry and Fast Track Entry. The primary difference is that with the Fast Track ticket, you are guaranteed to set off with your friends in the first three waves, especially useful if you don’t want to get stuck behind 17,000 other cyclists. The Rider Packs will also be sent out in advance, meaning you won’t have to collect it in-person, the day before the event. Fast Track entry also gives you access to the car parks near the start, which is pretty useful. What you have to decide, is if this is worth the extra cost. General Entry tickets are £75 and Fast Track tickets are £115, both are subject to a £3.75 booking fee. Can I still enter Velo Birmingham 2019? Yes. Whilst General Entry and Fast Track tickets sold out within days of going on-sale, there are some charity places still available. What’s the Velo Birmingham route? The route starts & finishes in Birmingham City Centre and passes through several counties. See the above map and route for full details. Velo Birmingham starts at 7:00am but given that there are 17,000 cyclists, starting times are likely to be staggered over one or two hours. Cyclists paying for the Fast Track Entry should be allocated an earlier starting time. Where does Velo Birmingham start from? Velo Birmingham will start from Bordesley Street, Birmingham, which can be found in the heart of Birmingham City Centre. Yes, absolutely. The key feature of this sportive is that the roads are closed, all 100-miles of them! Does Velo Birmingham have any climbs? The overall elevation gain is 4,290 feet over the 100 mile route, which equates to a pretty flat circuit. Backed by CSM Active, Velo Birmingham is well represented on the primary social networks, so keeping up to date with news shouldn’t be difficult – just choose your preferred social media. I wouldn’t buy a car without knowing the spec would you? Would like to register my interest in the event. @Ron. We do know some key elements; 100 mile route, all of which are closed roads, in Birmingham and the wider West Midlands, and up to 15,000 cyclists. However, we don’t know the actual route yet. There’s no harm in pre-registering as there’s no commitment required at this stage. Entry opens on Sept 29, 2016 for cyclists who have pre-registered. @Simon. There’s no way to guarantee it but there are a couple of things you can do. Register a Team Name and ensure each person enters using this name. Tickets go on sale at 8:00am today (29/09) but British Cycling are offering priority access to members. Velo Birmingham has officially sold out, after just 4 days on-sale. The Velo Birmingham official route map, GPX files, gradients and elevations are now available to download. Why have you not said about charity rides? @Andy, really good point. We are aware that there are some places available for cyclists who are willing to ride for a charity. We will amend our article shortly with news and information on this. Thanks for the heads-up. @Derek, yes there is. As you know, riders will be given staggered start times and the last rider to cross the start line will have to average 12mph (19kph) to cover the 100 miles in 8.5hrs. However, this time includes all stops, whether at the feed stations or simply for a quick rest. Velo Birmingham will be using a Pace Car to follow behind cyclists who are at the rear of the pack. Riders who are caught by the Pace Car and where the driver feels that you won’t be able to maintain the average speed for the remainder of the ride, will be asked to get into the Pace Car, which will take you back to the Start / Finish venue. Some of us are doing the ride purely to raise charity funds. That might mean we’re not super-human, so will need to get away from the start early to stay ahead of the broom wagon! How will things be organised so that charity riders who may not be elite cyclists will be able to get away good and early so as to be able to finish the course? @Richard, when you completed the entry form, you will have given an indication of your expected time to complete the course. The organisers will use this to set your start time, the idea being that those that expect to take longer, will need an earlier start time. There will be many cyclists doing Velo Birmingham for Charity so you will be in good company. Good Luck. Thanks for that Mark, very helpful. I hear that the route has changed, will now no longer enter Herefordshire. Reading the comments on the website of the Hereford Times, it’s clear that some people in some of the places through which the race would have passed warned of (i.e. were inciting) violence towards the participants. Some of the comments are simply anti-cyclist, some moan about the part-day road closures, some exaggerate the ‘disruption’, just a very few welcome the excitement and opportunity. Such a shame that Herefordshire has, on the collective, been so negative. There is similar negativity from some people in Worcestershire. Thanks to Staffordshire for making the race welcome. @Richard, as cyclists, we do face anti-cycling sentiments frequently but the thought of ‘some’ people prepared to take actions, is concerning. If this is behind the route change, then we are indeed to be thankful to everyone involved for making this happen. Are there any special trains from london which we can bring our bikes?